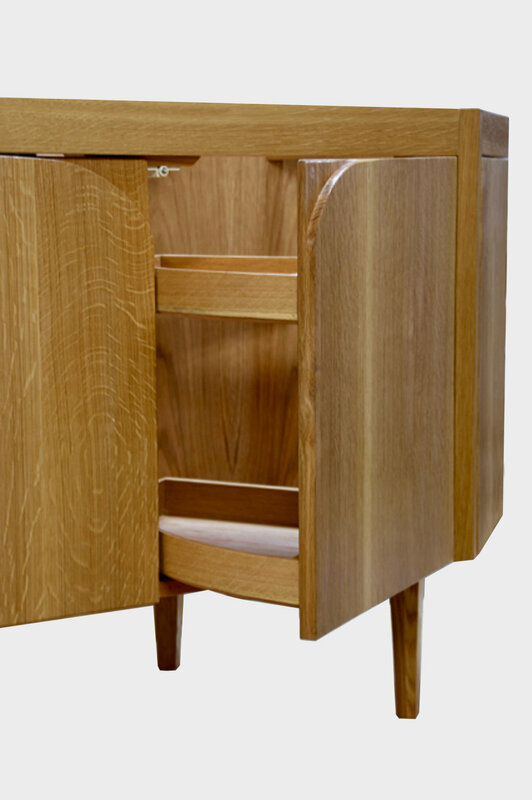 The Deco vanity was designed for a client in Washington, DC, who wanted just a touch of art deco in the piece. Deco is situated in an angled corner. It features touch-open doors on the front as well as the sides. 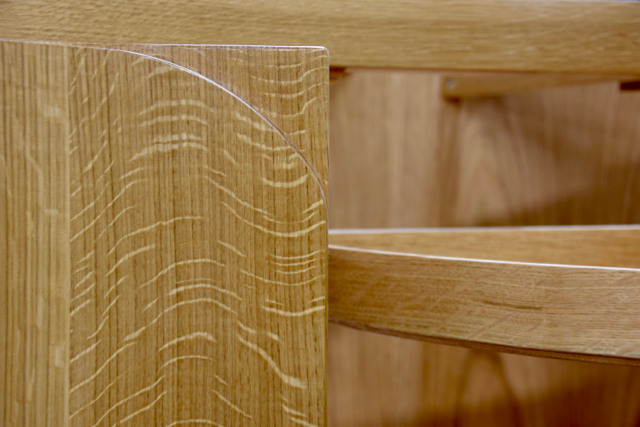 Quarter round shelves attach to the interior of the doors. This design project included the accompanying mirror. 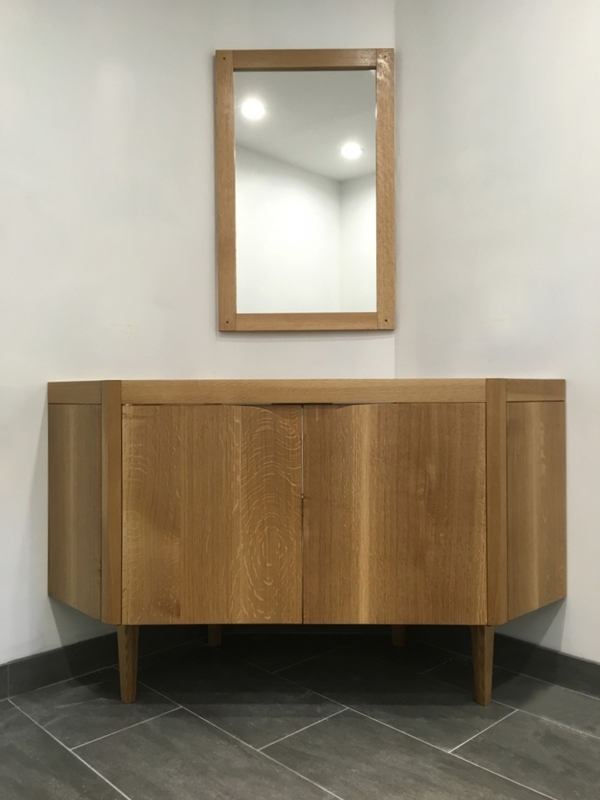 The Deco vanity is made from white oak.